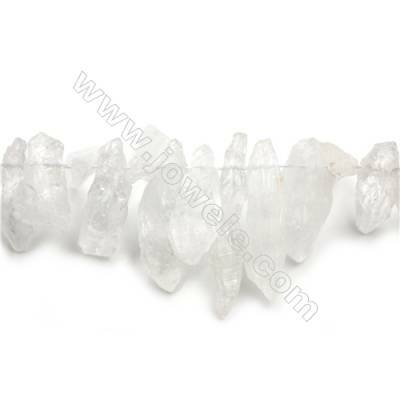 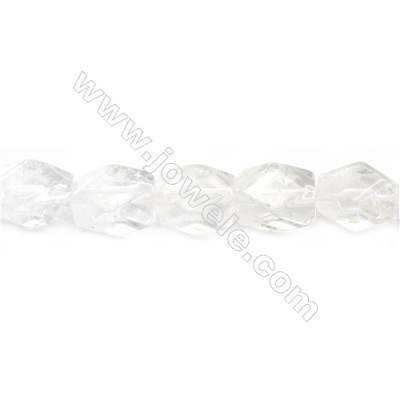 Crystal is a solid whose atoms are arranged in a “highly ordered” repeating pattern. 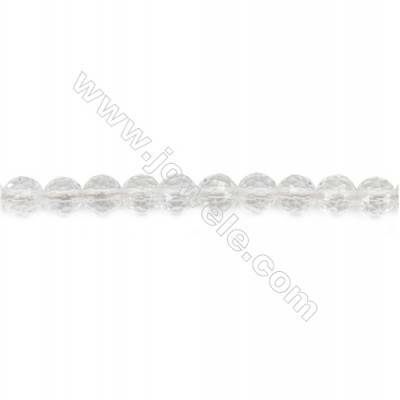 These patterns are called crystal lattices. If an object has its atoms arranged in one of seven crystal lattice patterns, then that object is a crystal. 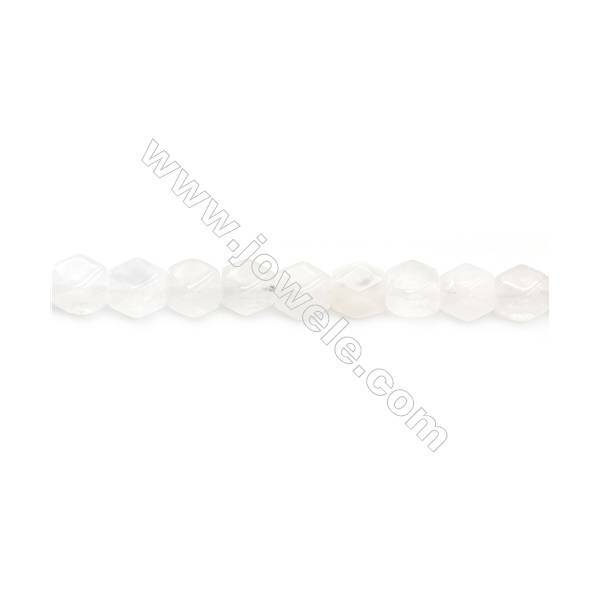 There are seven crystal lattice patterns: cubic, tetragonal, rhombohedral (or trigonal), hexagonal, orthorhombic, monoclinic, and triclinic. 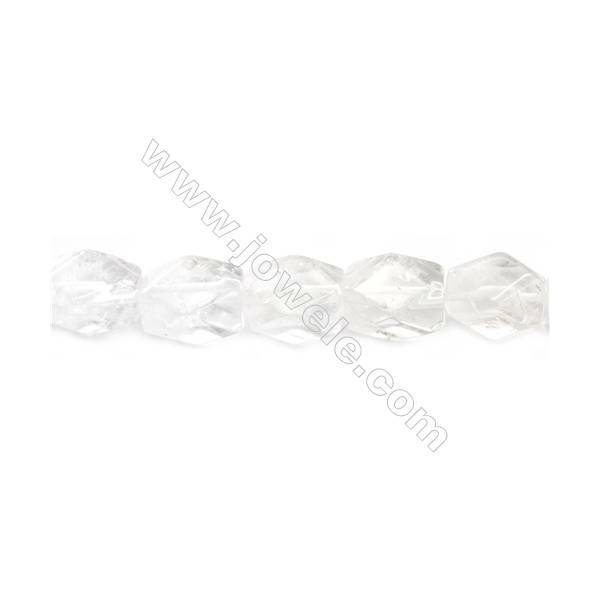 Each is distinguished by the geometric parameters of its unit cell, the arrangement of atoms that is repeated throughout the solid to form the crystal object we can see and feel. 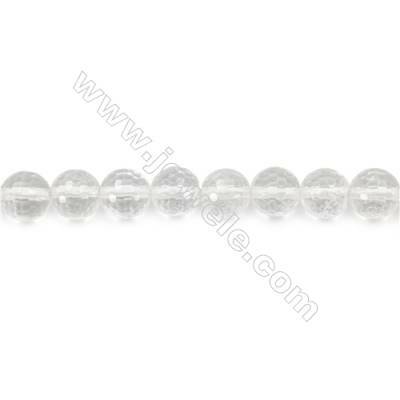 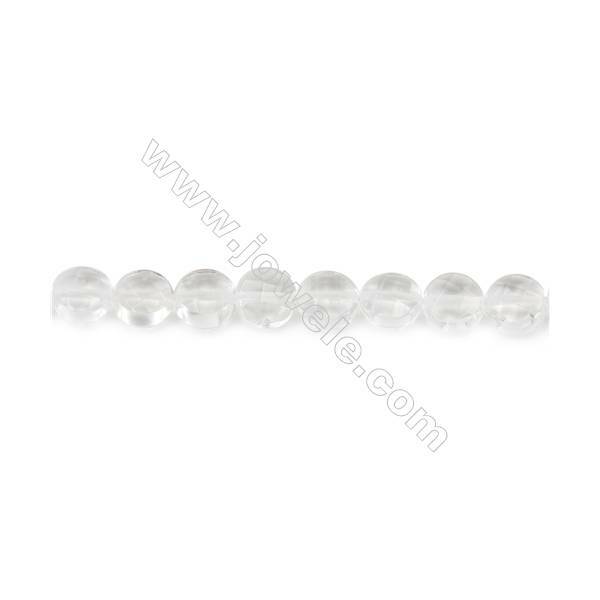 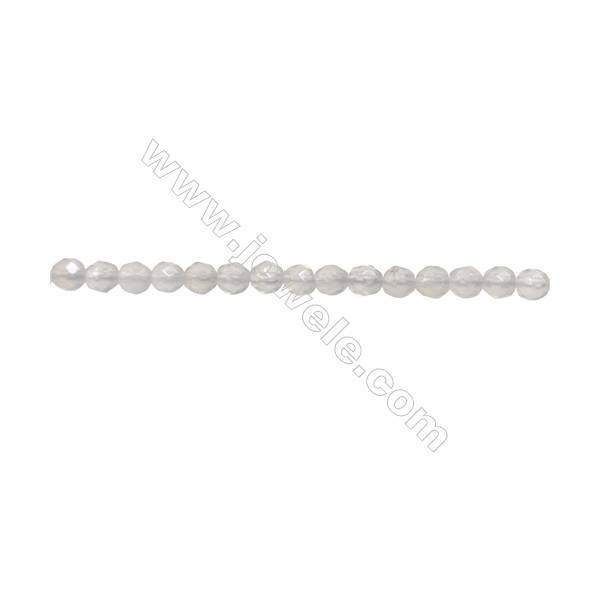 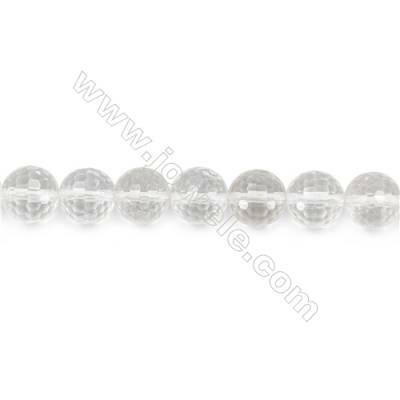 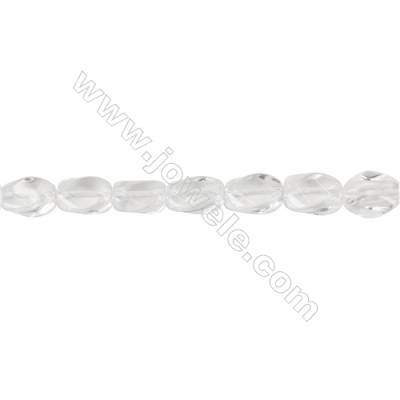 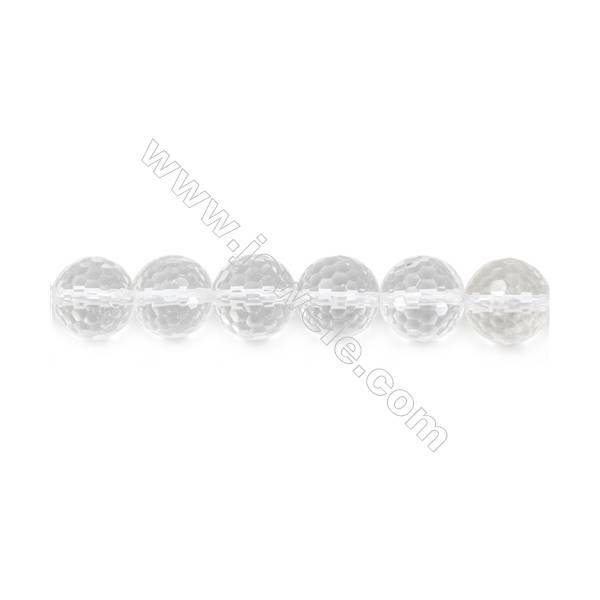 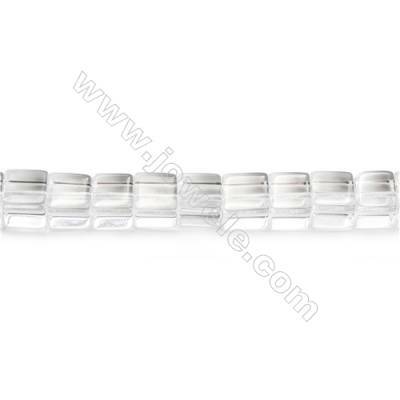 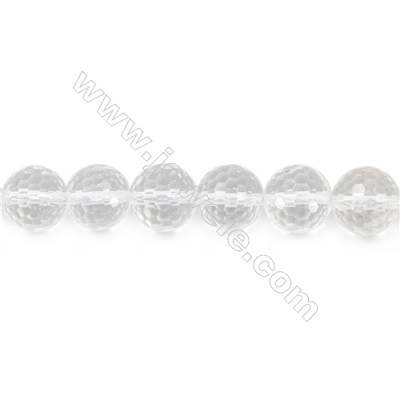 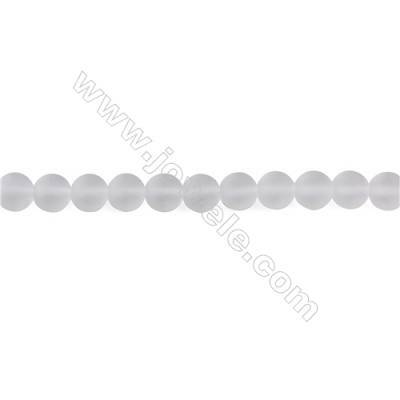 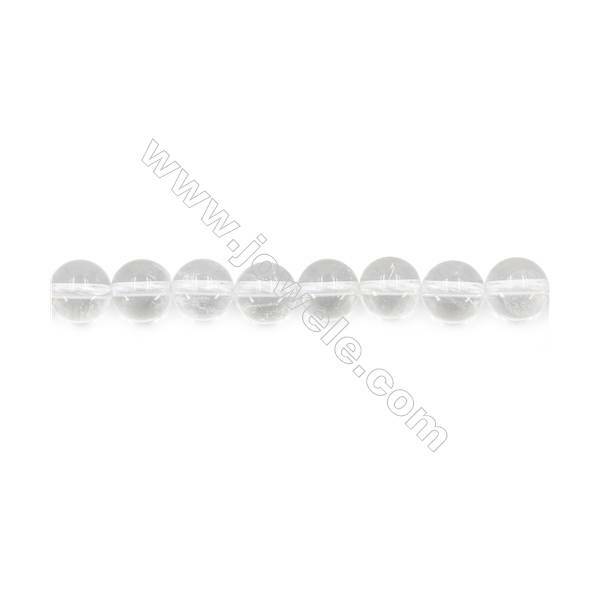 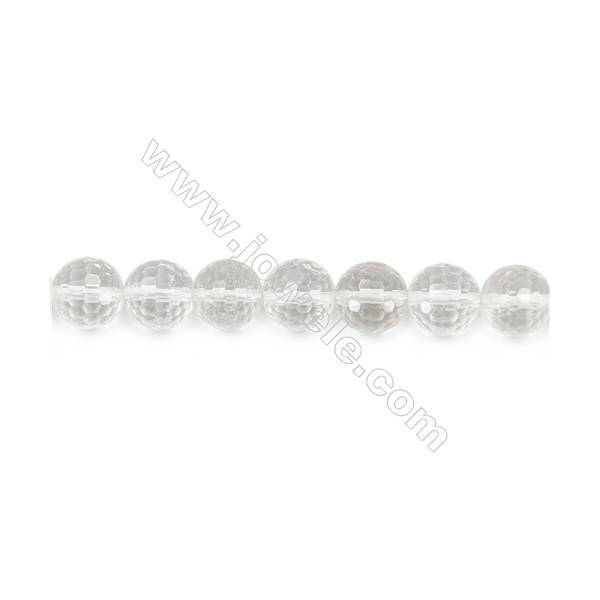 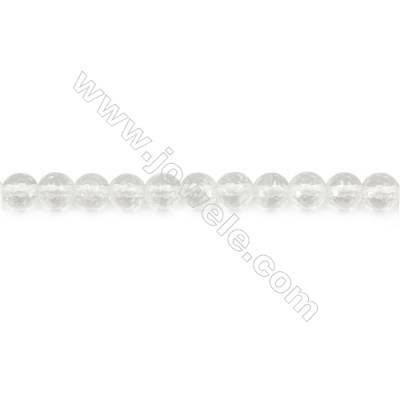 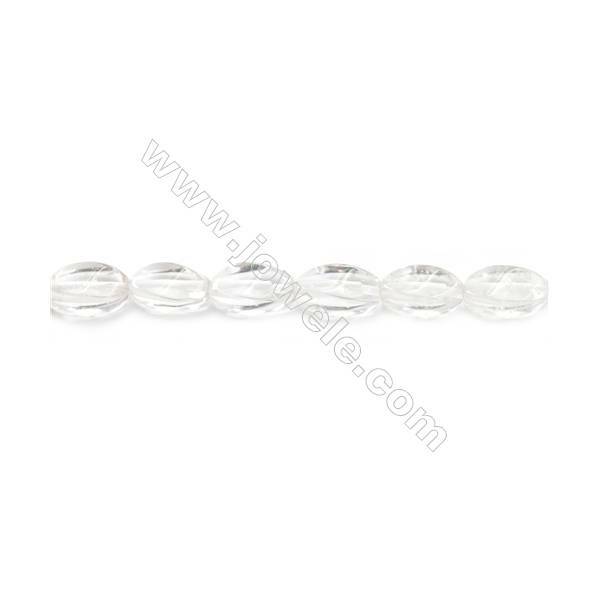 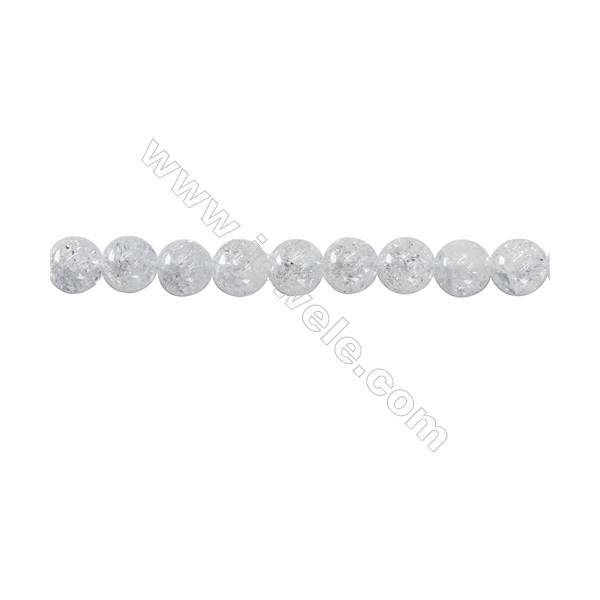 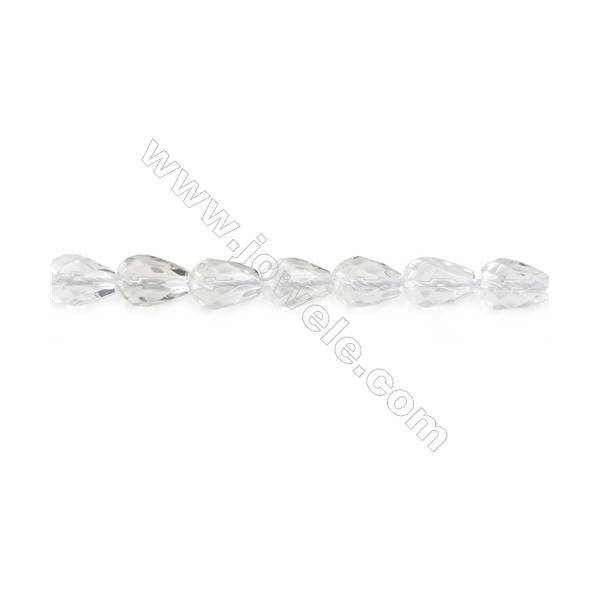 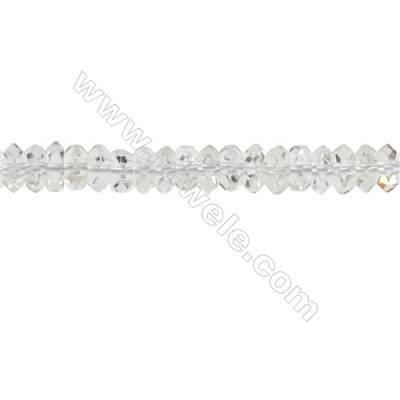 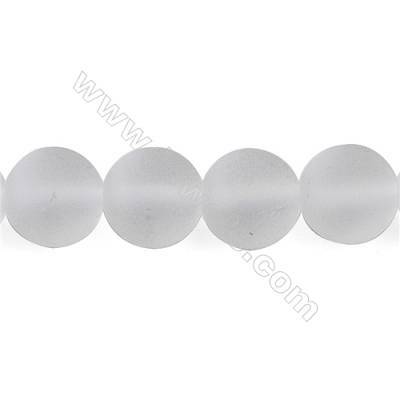 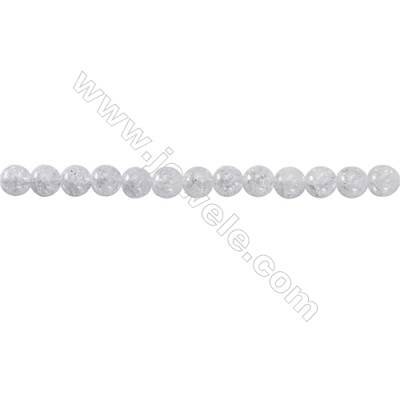 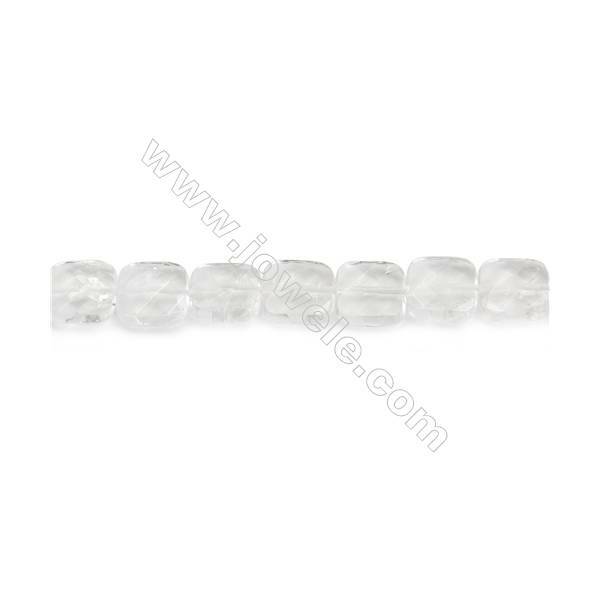 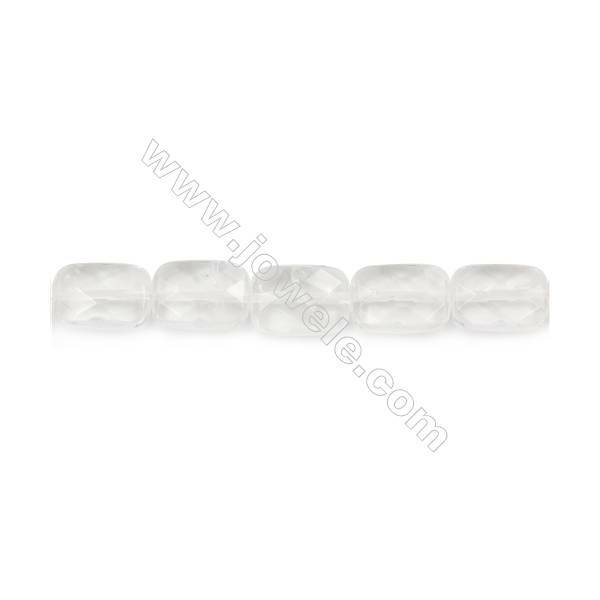 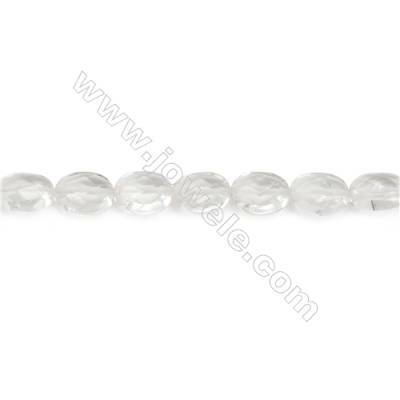 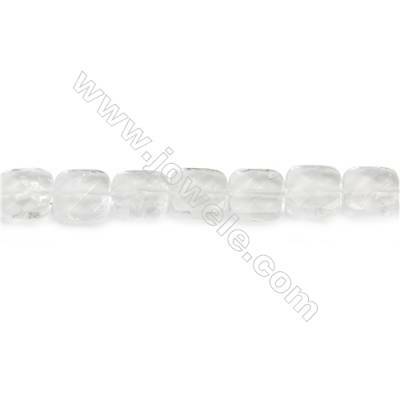 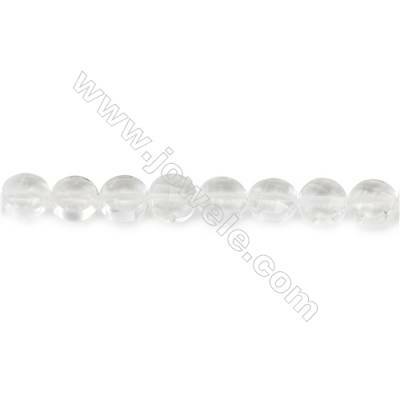 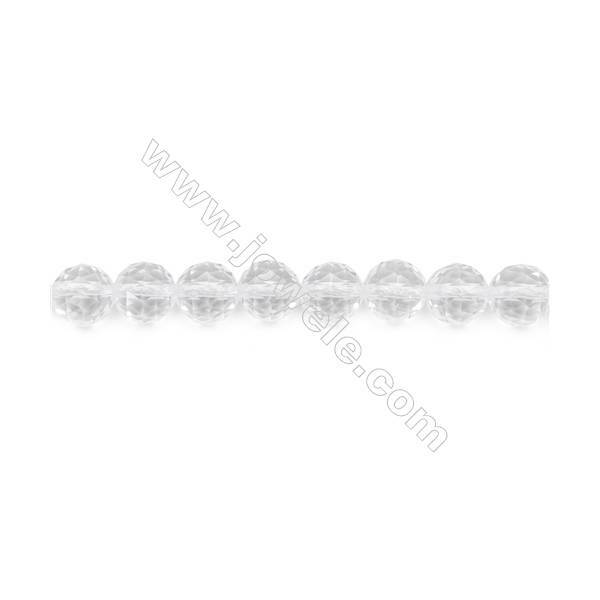 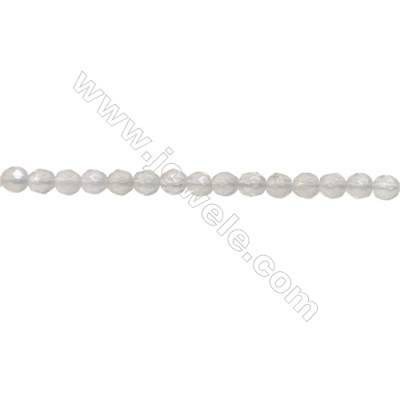 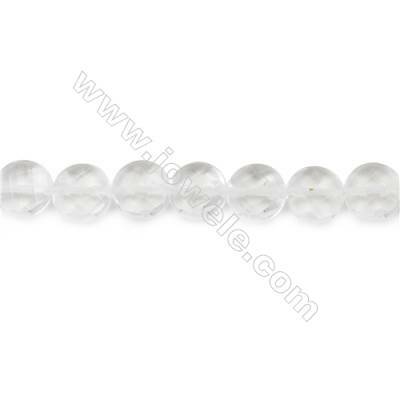 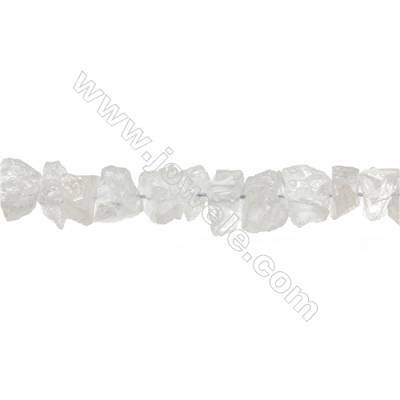 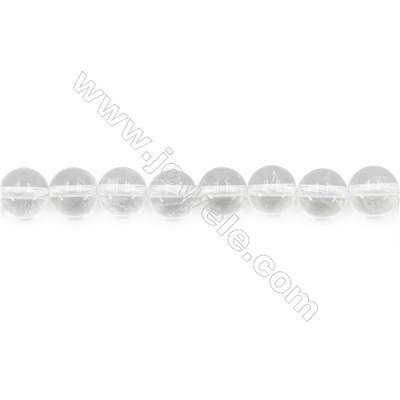 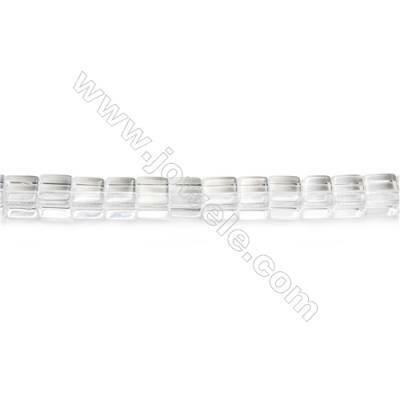 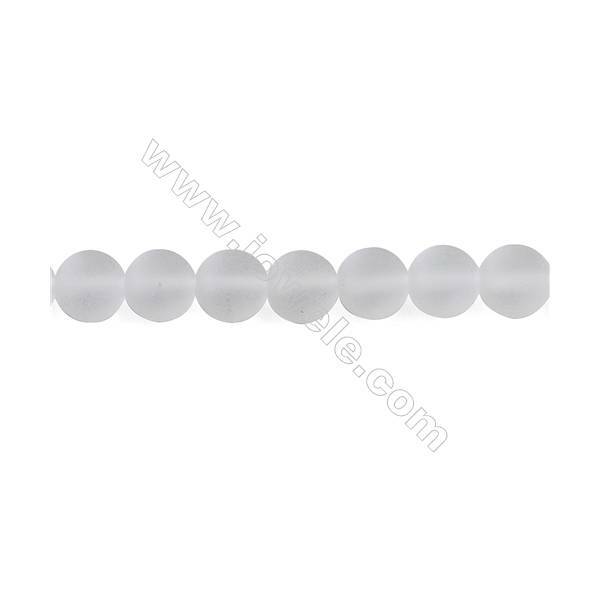 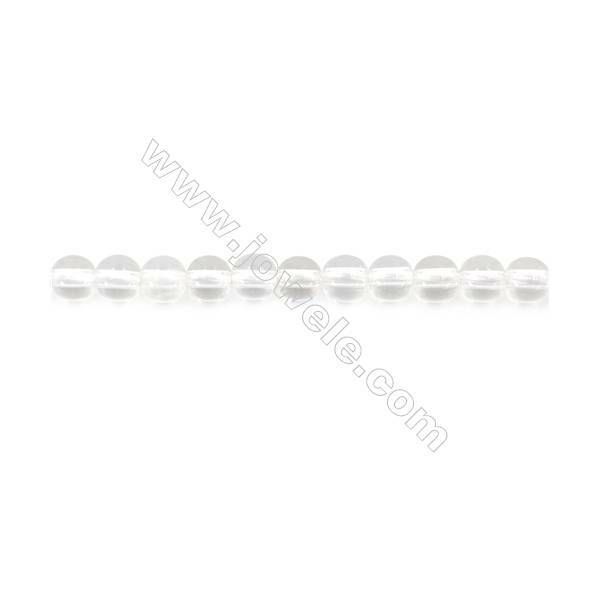 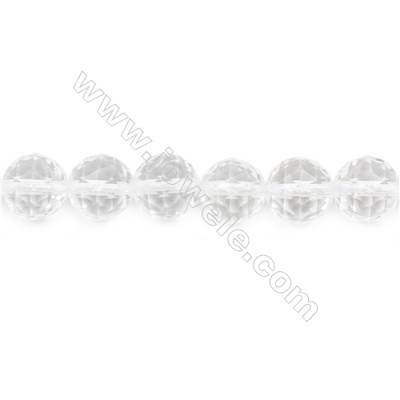 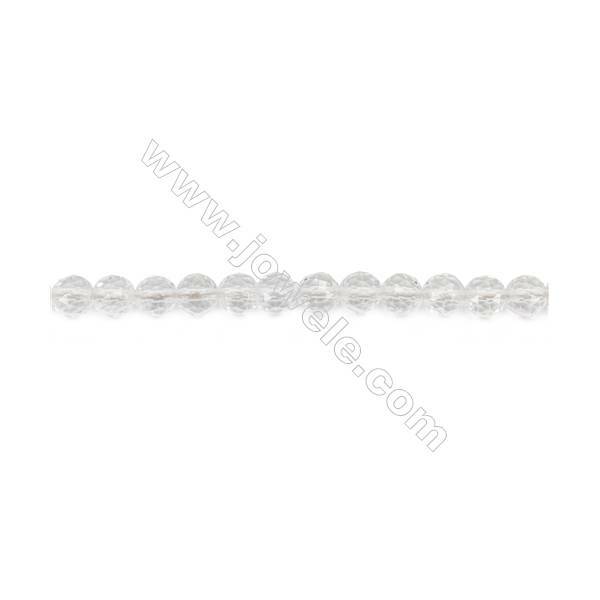 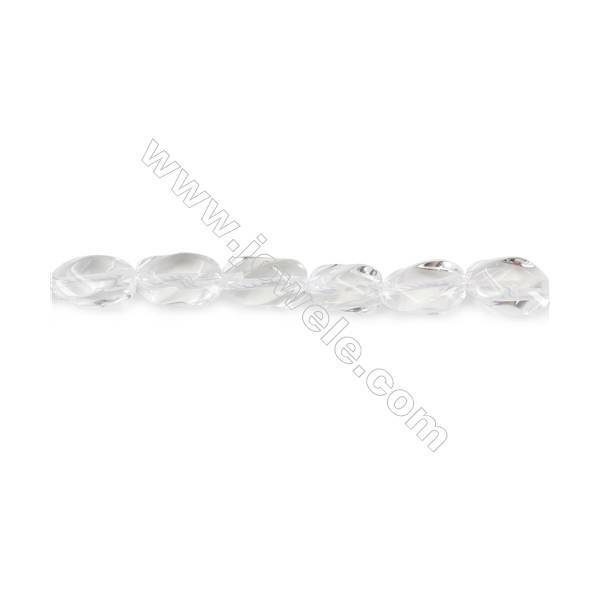 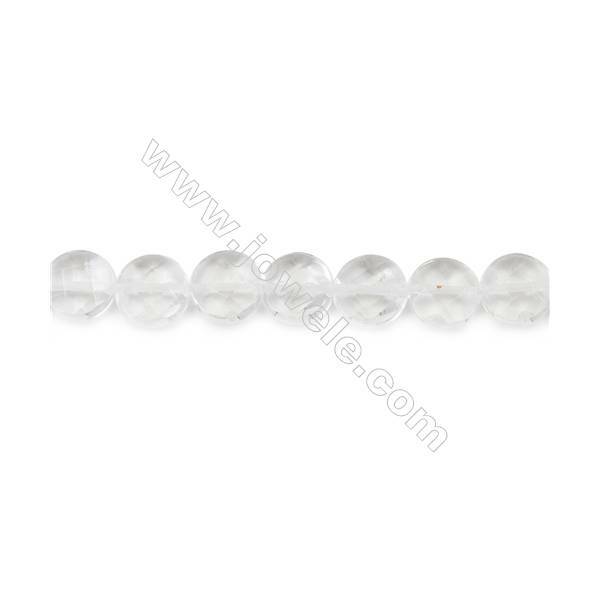 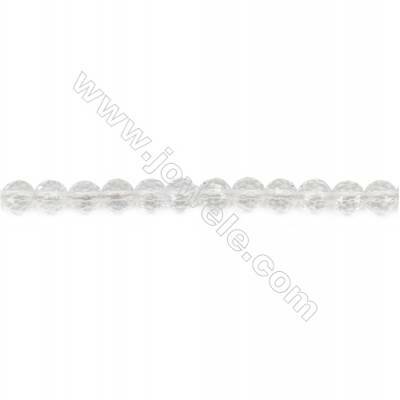 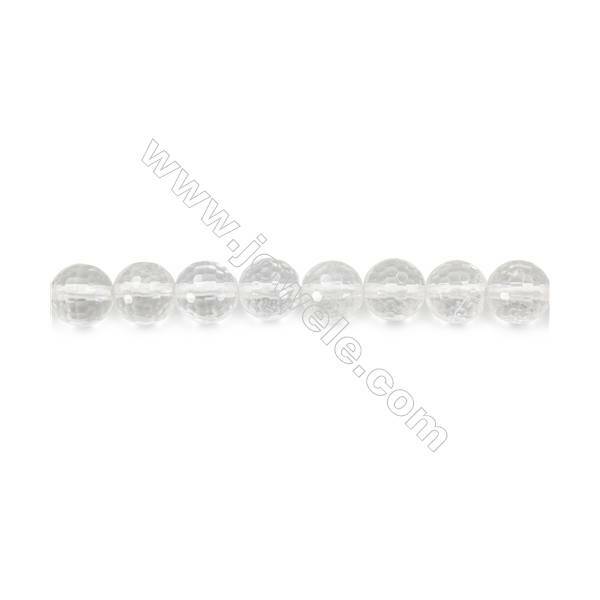 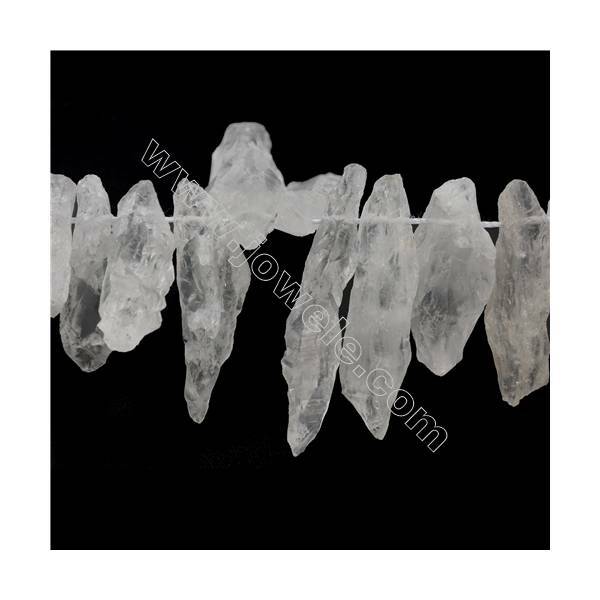 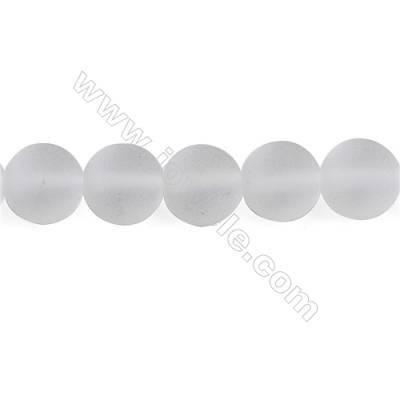 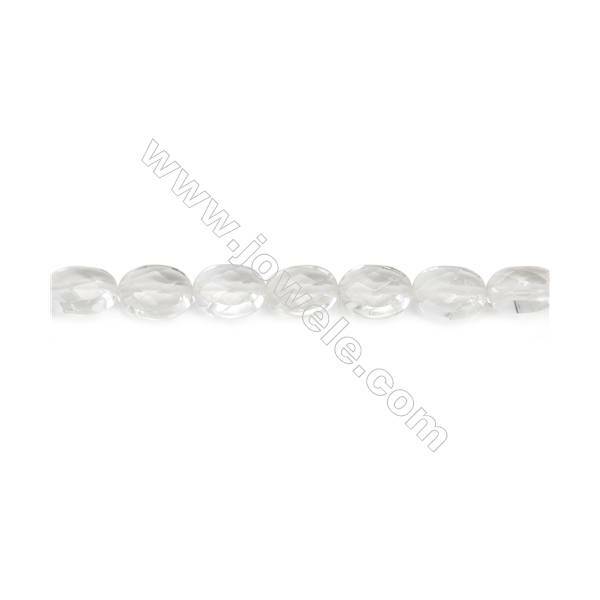 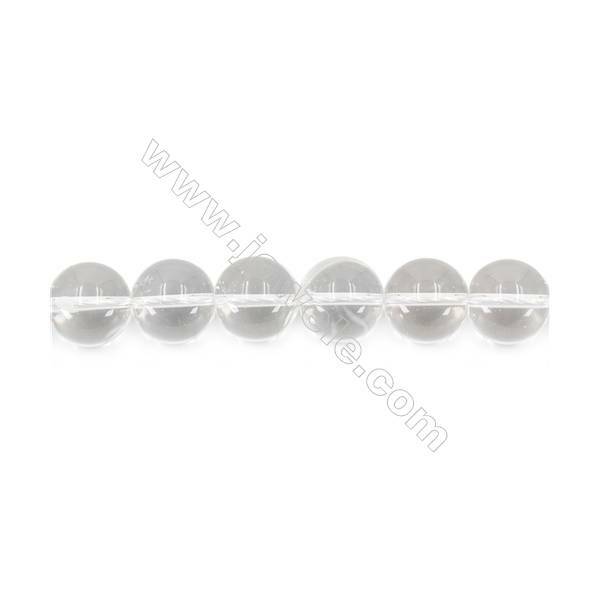 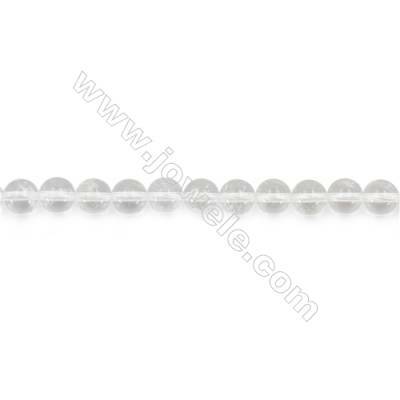 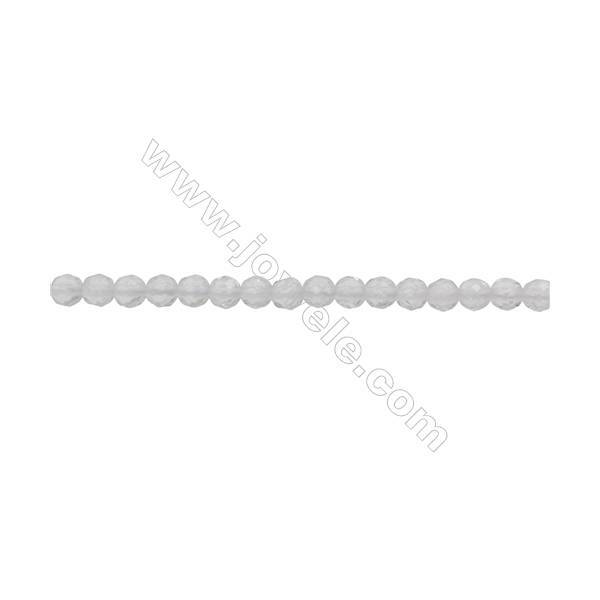 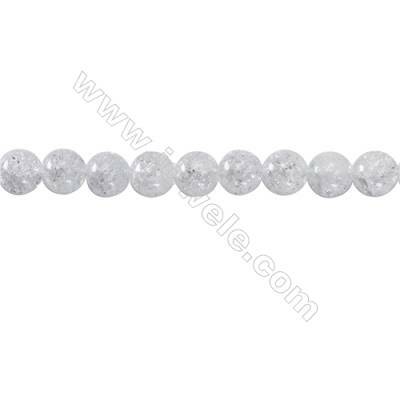 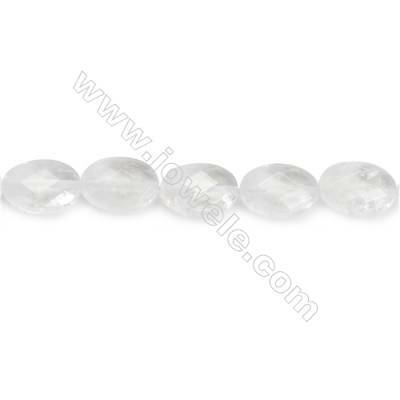 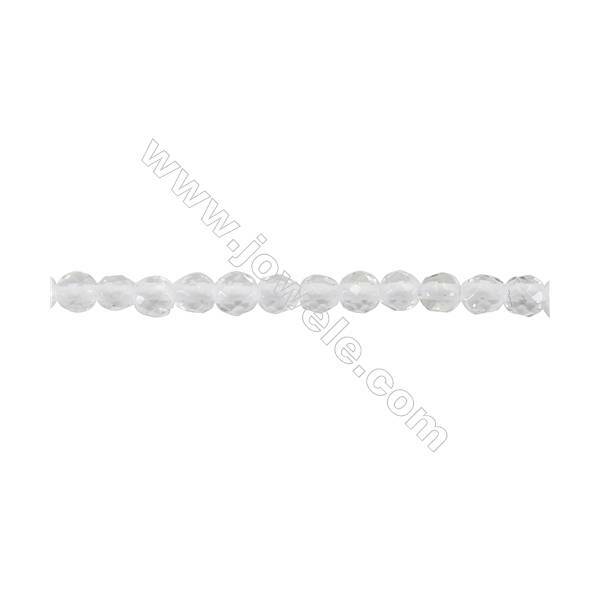 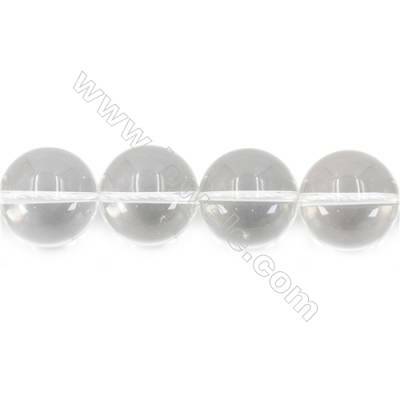 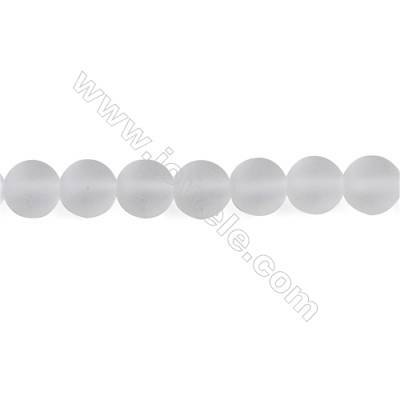 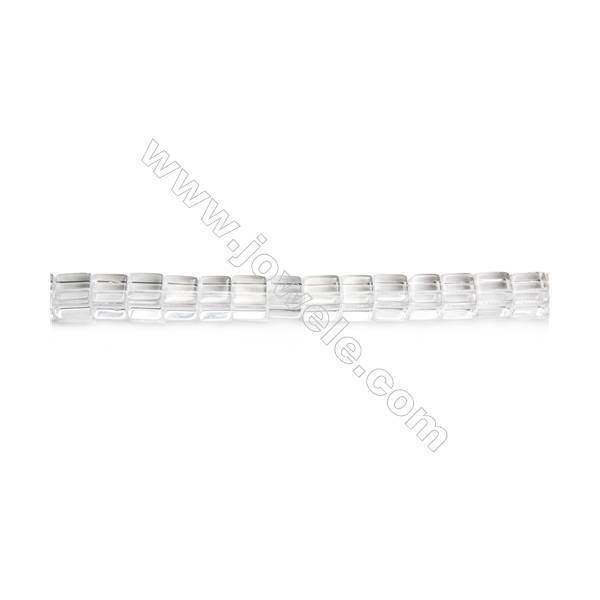 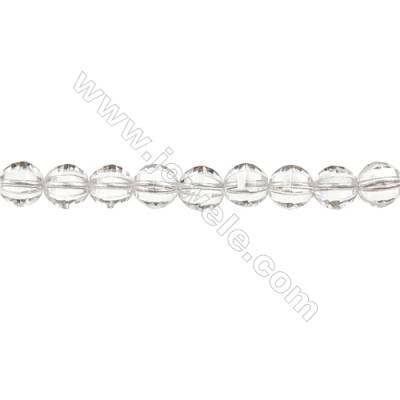 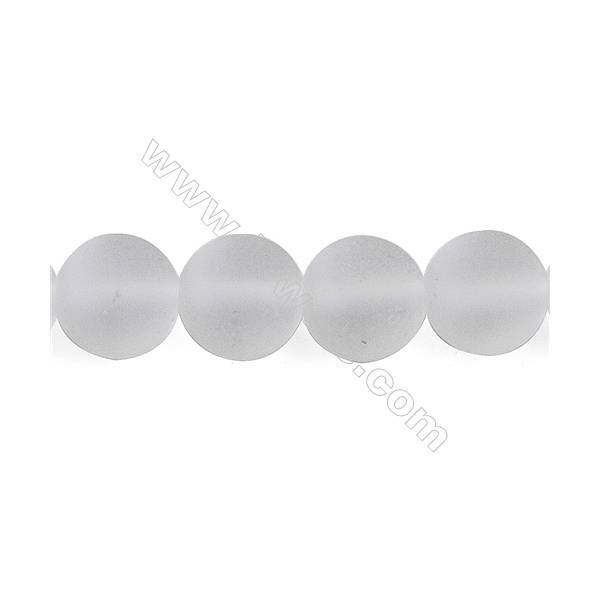 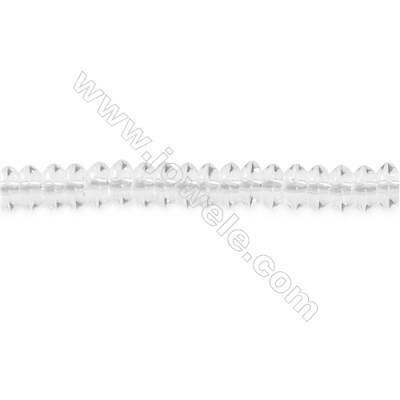 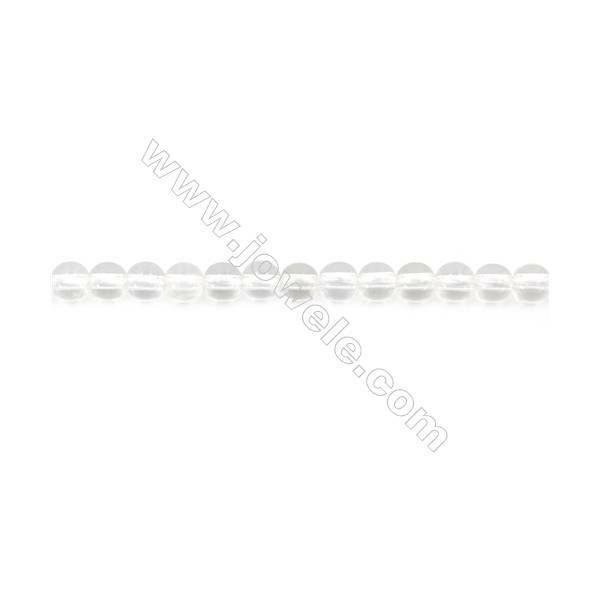 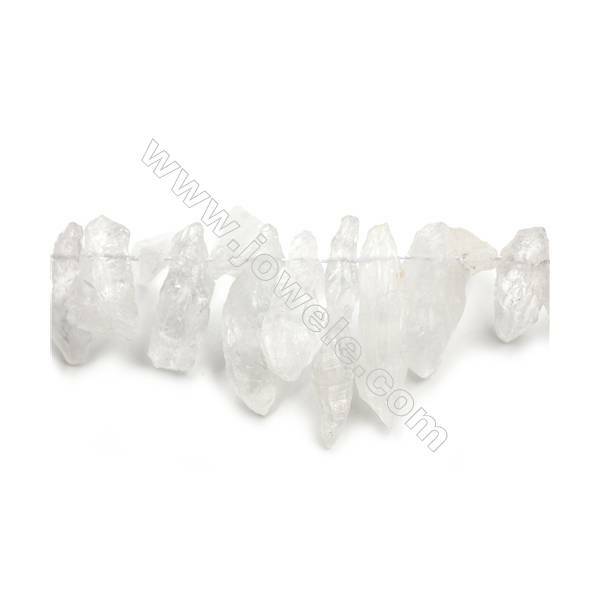 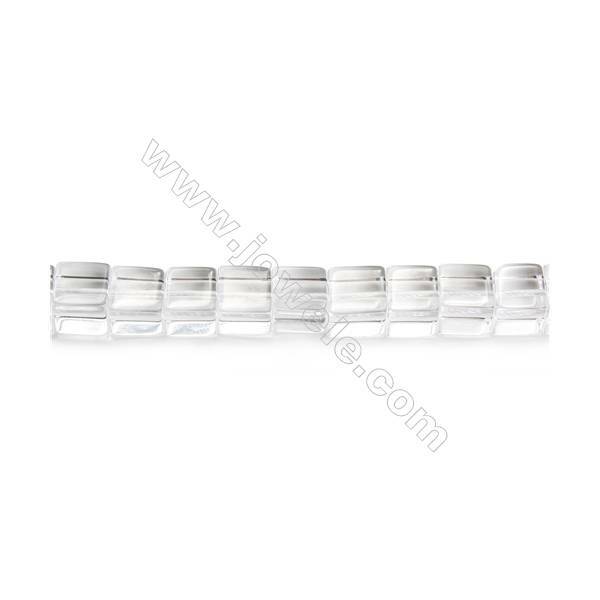 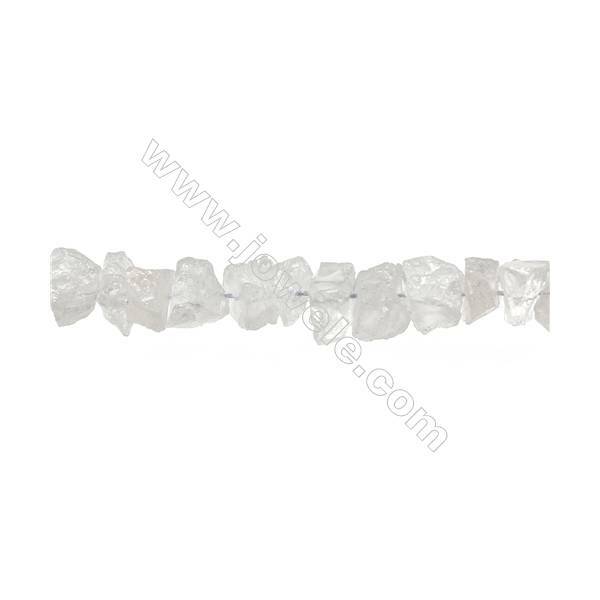 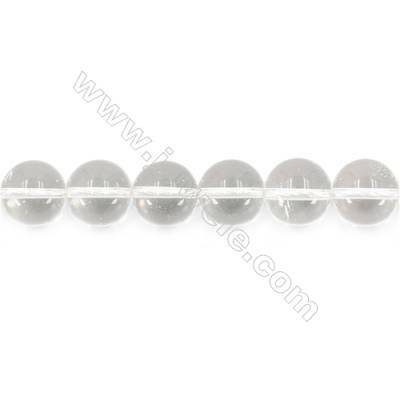 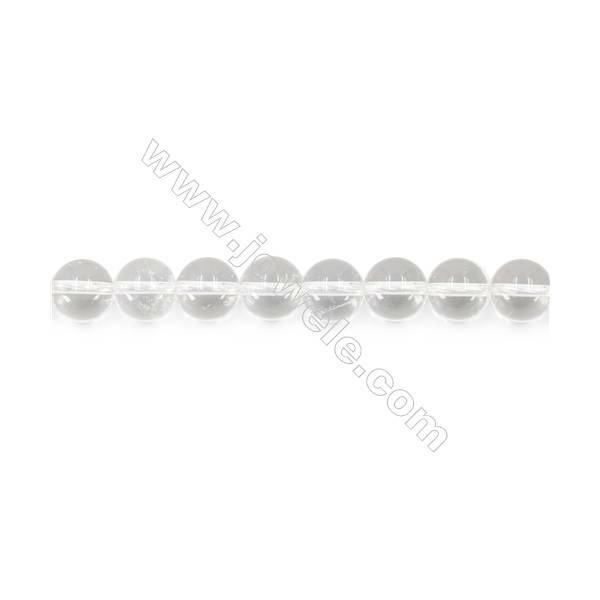 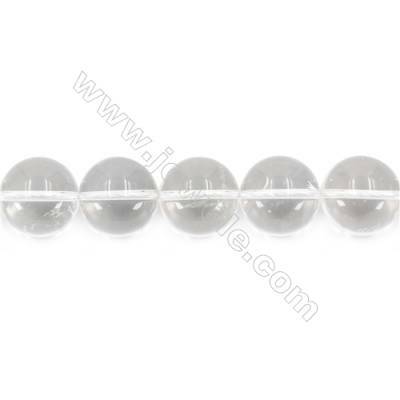 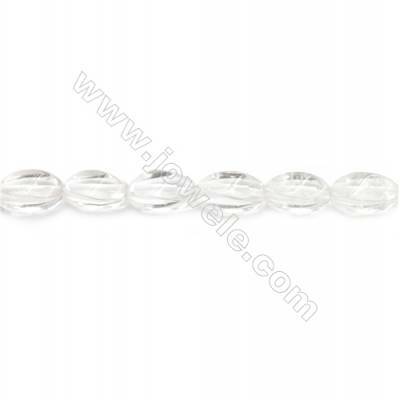 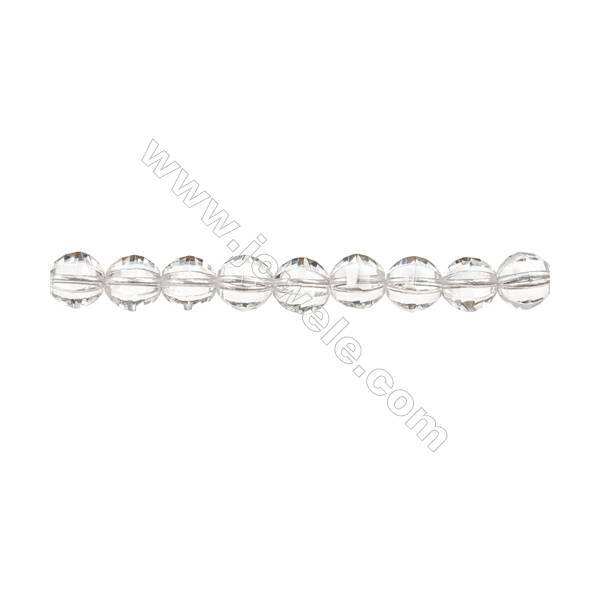 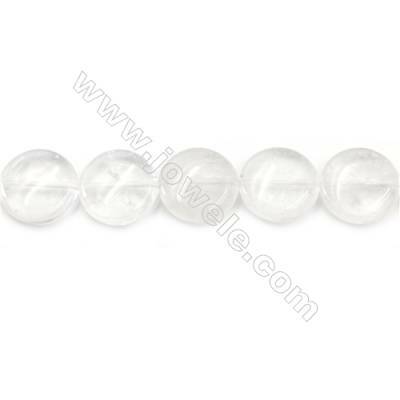 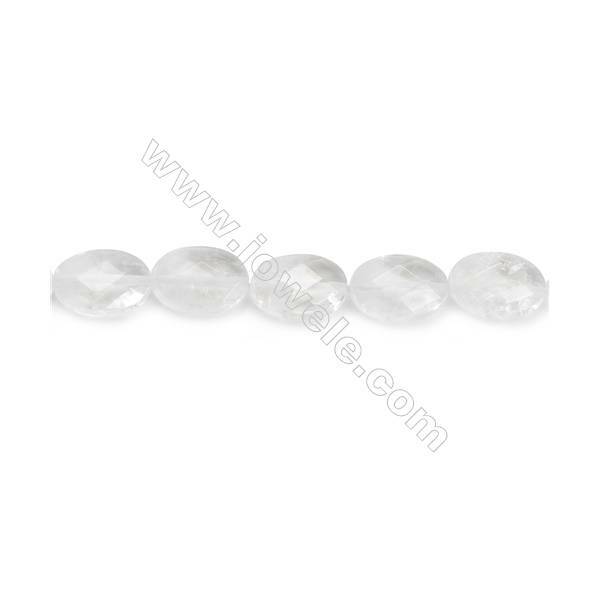 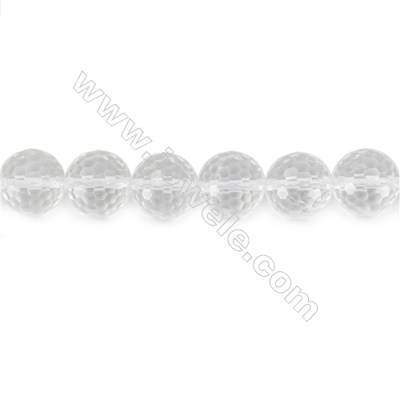 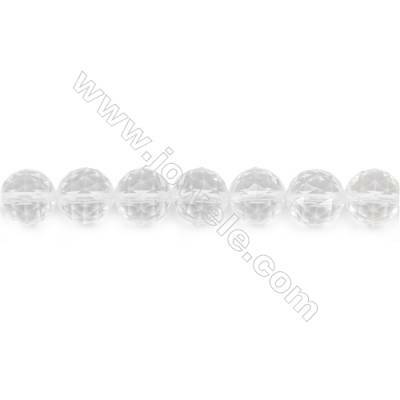 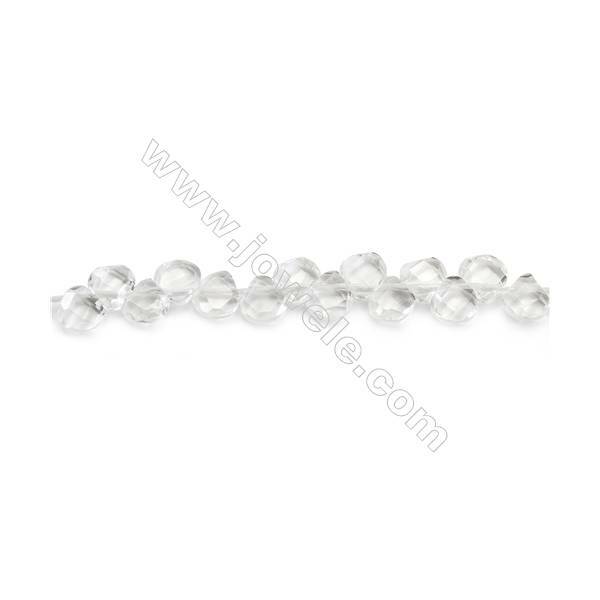 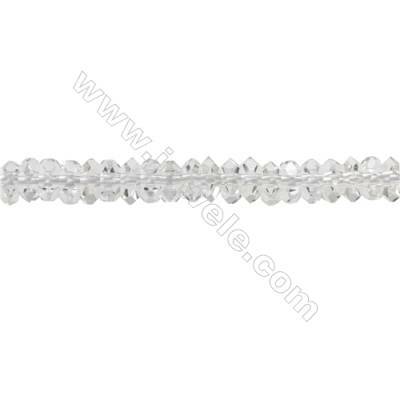 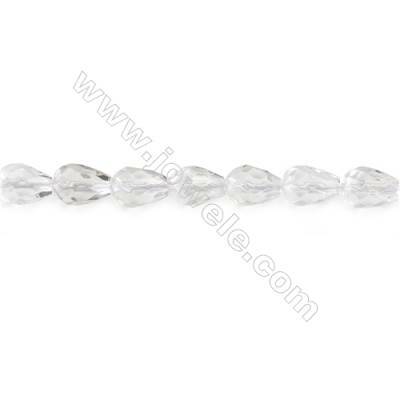 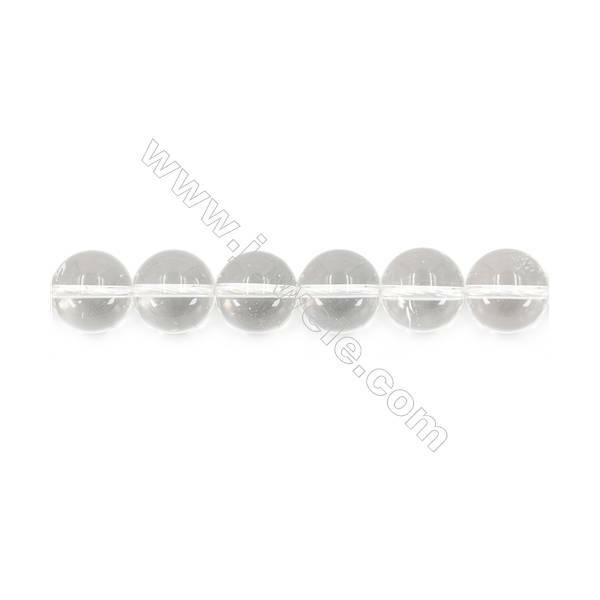 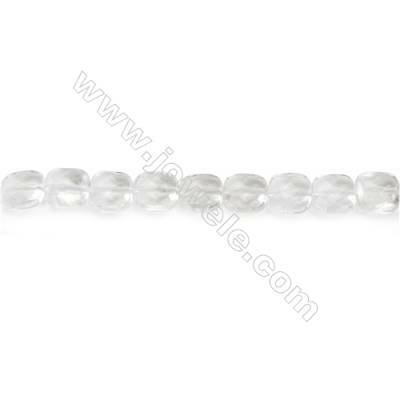 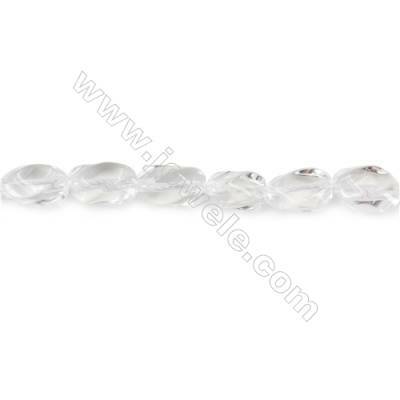 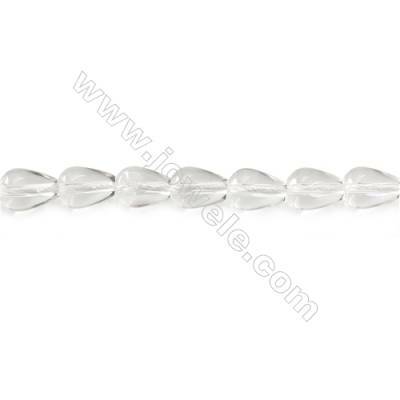 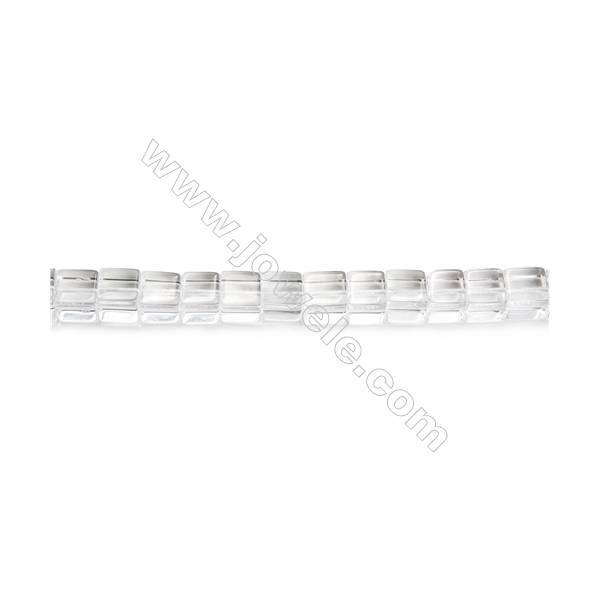 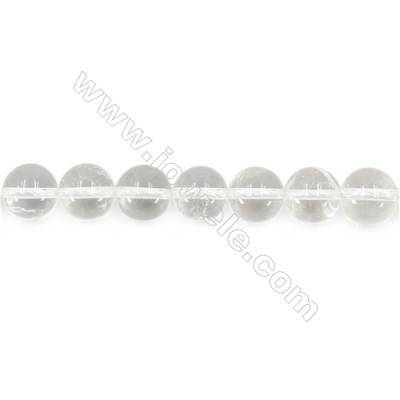 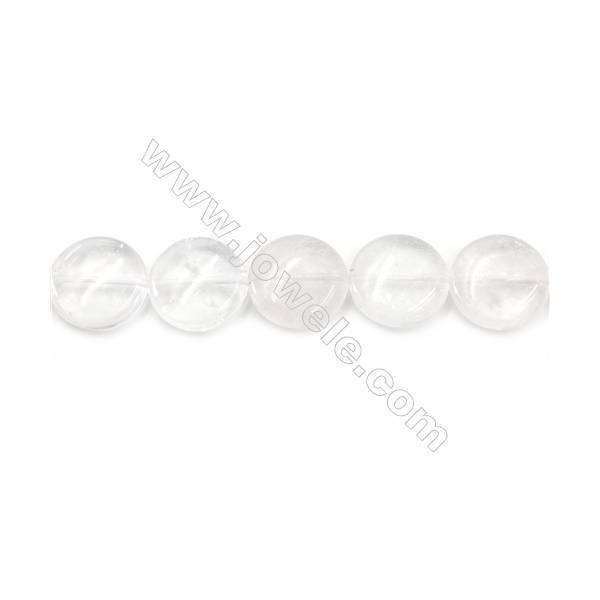 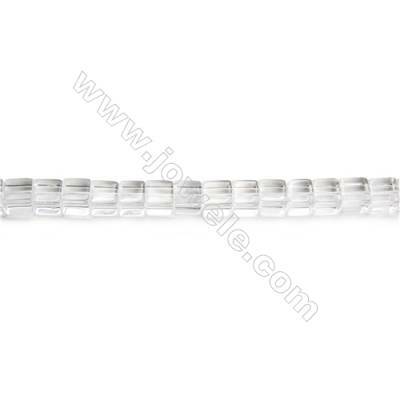 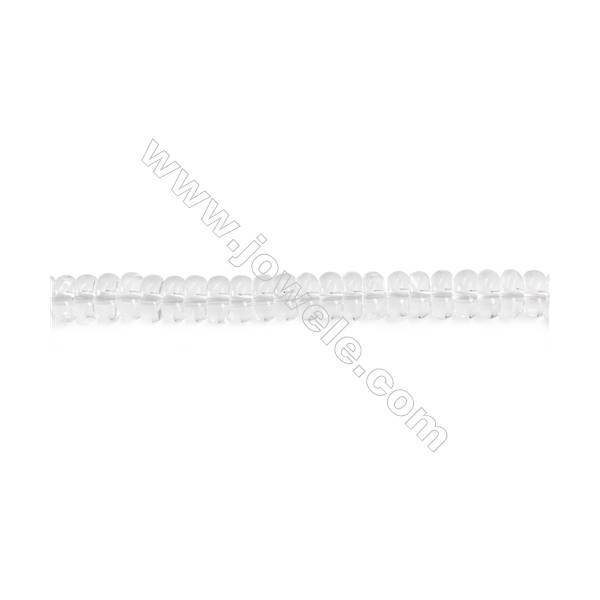 Natural Rock Crystal Beads Strand Round Diameter 3mm hole 1mm about 107 beads/strand 15~16"
Natural Rock Crystal Beads Strand Round Diameter 4mm hole 1mm about 92 beads/strand 15~16"
Natural Rock Crystal Beads Strand Round Diameter 6mm hole 1mm about 61 beads/strand 15~16"
Natural Rock Crystal Beads Strand Round Diameter 8mm hole 1mm about 45 beads/strand 15~16"
Natural Rock Crystal Beads Strand Round Diameter 10mm hole 1mm about 39 beads/strand 15~16"
Natural Rock Crystal Beads Strand Round Diameter 12mm hole 1.5mm about 32 beads/strand 15~16"
Natural Rock Crystal Beads Strand Round Diameter 14mm hole 1.5mm about 28 beads/strand 15~16"
Natural Rock Crystal Beads Strand Round Diameter 16mm hole 1.5mm about 25 beads/strand 15~16"
Natural Rock Crystal Beads Strand Round Diameter 18mm hole 1.5mm about 21 beads/strand 15~16"
Natural Rock Crystal Beads Strand Round Diameter 20mm hole 1.5mm about 20 beads/strand 15~16"
Natural Rock Crystal Beads Strand Faceted Round Diameter 4mm hole 0.8mm about 93 beads/strand 15~16"
Natural Rock Crystal Beads Strand Faceted Round Diameter 6mm hole 1mm about 63 beads/strand 15~16"
Natural Rock Crystal Beads Strand Faceted Round Diameter 8mm hole 1mm about 47 beads/strand 15~16"
Natural Rock Crystal Beads Strand Faceted Round Diameter 10mm hole 1mm about 39 beads/strand 15~16"
Natural Rock Crystal Beads Strand Faceted Round Diameter 12mm hole 1.5mm about 32 beads/strand 15~16"
Rock Crystal Beads Strand Faceted Round Diameter 6mm hole 1mm about 65 beads/strand 15~16"
Rock Crystal Beads Strand Faceted Round Diameter 8mm hole 1mm about 48 beads/strand 15~16"
Rock Crystal Beads Strand Faceted Round Diameter 10mm hole 1mm about 38 beads/strand 15~16"
Rock Crystal Beads Strand Faceted Round Diameter 12mm hole 1.5mm about 33 beads/strand 15~16"
Rock Crystal Beads Strand Faceted Round Diameter 14mm hole 1.5mm about 28 beads/strand 15~16"
Frosted Rock Crystal Beads Strand Round Diameter 4mm hole 0.8mm about 90 beads/strand 15~16"
Frosted Rock Crystal Beads Strand Round Diameter 6mm hole 1mm about 60 beads/strand 15~16"
Frosted Rock Crystal Beads Strand Round Diameter 8mm hole 1mm about 50 beads/strand 15~16"
Frosted Rock Crystal Beads Strand Round Diameter 10mm hole 1mm about 40 beads/strand 15~16"
Frosted Rock Crystal Beads Strand Round Diameter 12mm hole 1mm about 33 beads/strand 15~16"
Natural Rock Crystal Beads Strand Teardrop Size 7x10mm hole 1mm about 41 beads/strand 15~16"
Natural Rock Crystal Beads Strand Faceted Teardrop Size 7x10mm hole 1mm about 40 beads/strand 15~16"
Natural Rock Crystal Beads Strand Faceted Teardrop Size 8x8mm hole 1mm about 61 beads/strand 15~16"
Natural Rock Crystal Beads Strand Twisted Oval Size 6x10mm hole 1mm about 37 beads/strand 15~16"
Natural Rock Crystal Beads Strand Twisted Size 8x13mm hole 1mm about 30 beads/strand 15~16"
Natural Rock Crystal Beads Strand Square Size 8x8mm hole 1mm about 49 beads/strand 15~16"
Natural Rock Crystal Beads Strand Cube Size 6x6x6mm hole 1mm about 58beads/strand 15~16"
Natural Rock Crystal Beads Strand Cube Size 8x8x8mm hole 1mm about 51 beads/strand 15~16"
Natural Rock Crystal Beads Strand Cube Size 10x10x10mm hole 1mm about 45 beads/strand 15~16"
Natural Rock Crystal Beads Strand Faceted Abacus Size 3x6mm hole 1mm about 114 beads/strand 15~16"
Natural Rock Crystal Beads Strand Faceted Abacus Size 4x8mm hole 1mm about 98 beads/strand 15~16"
Natural Rock Crystal Beads Strand Flat Abacus Size 3x6mm hole 1mm about 130 beads/strand 15~16"
Natural Rock Crystal Beads Strand Abacus Size 3x6mm hole 1mm about 146 beads/strand 15~16"
Faceted Rock Crystal Beads Strand Flat Oval Size 8x10mm hole 1mm about 39 beads/strand 15~16"
Faceted Rock Crystal Beads Strand Flat Oval Size 10x14mm hole 1mm about 29 beads/strand 15~16"
Natural Rock Crystal Beads Strand Faceted Rectangle Size 10x14mm hole 1mm about 28 beads/strand 15~16"
Faceted Rock Crystal Beads Strand Flat Round Diameter 10mm hole 1mm about 47 beads/strand 15~16"
Faceted Rock Crystal Beads Strand Flat Round Diameter 12mm hole 1mm about 39 beads/strand 15~16"
Natural Rock Crystal Beads Strand Faceted Square Size 12x12mm hole 1mm about 33 beads/strand 15~16"
Natural Rock Crystal Beads Strand Flat Round Diameter 20mm hole 1mm about 20 beads/strand 15~16"
Natural Rock Crystal Beads Strand, Faceted Column, Size 20x18x13mm, Hole 1.5mm, about 22 beads/strand 15~16"
Natural Rock Crystal Beads Strand, Faceted Cuboid, Size 11x9x9mm, Hole 1.5mm, about 35 beads/strand 15~16"
Natural Rock Crystal Beads Strand Twisted Oval Size 8x16mm hole 1mm about 26 beads/strand 15~16"
Natural Rock Quartz Beads Strand Diameter 3mm hole 0.6mm about 122 beads/strand 15~16"
Natural Rock Quartz Beads Strand Faceted Round Diameter 3mm hole 0.6mm about 126 beads/strand 15~16"
Natural Rock Quartz Beads Strand Faceted Abacus Size 2x5mm hole 0.8mm about 166 beads/strand 15~16"
Natural Rock Quartz Beads Strand Faceted Abacus Size 3x6mm hole 0.8mm about 139 beads/strand 15~16"